Talk about pressure! 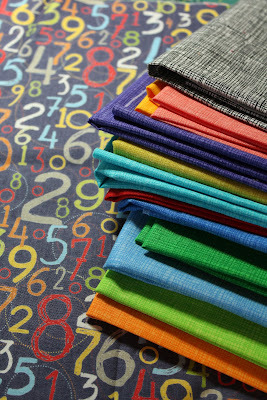 It's time to make a list for the third quarter of Quilter in the Gap's Finish-A-Long. I'm sure you're like me - the 'to do' list continues to grow in the midst of trying to finish up what's already on the docket! There's much I'd like to accomplish in the next three months, but definitely these projects . . .
4x5 modern Quilt Bee quilt - It was on last quarter's list and I didn't quite make it. I'm nearing the finish line on this one. 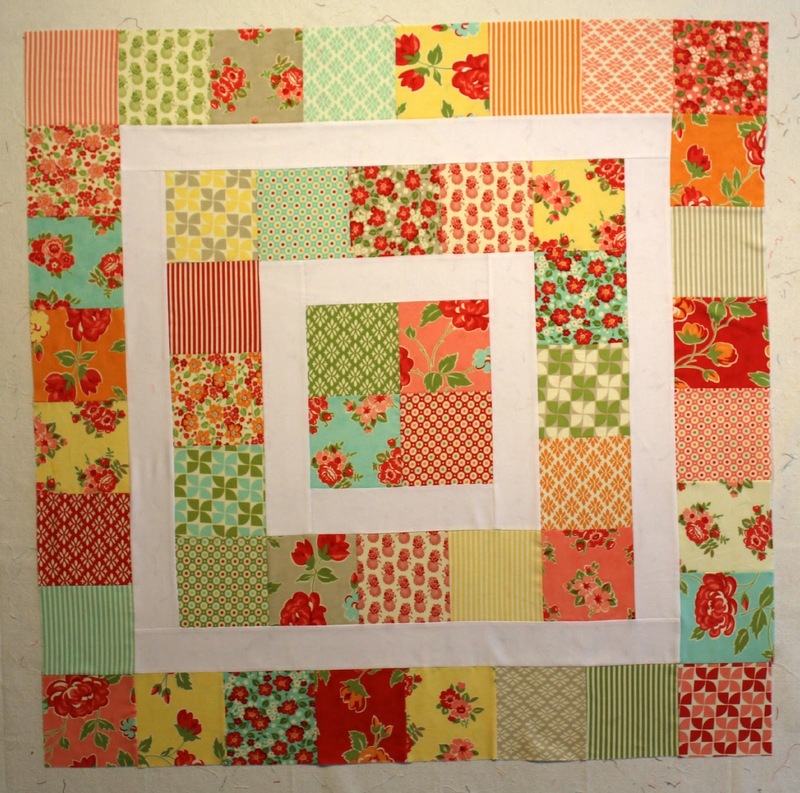 Marmalade "Storytime Squares" baby quilt - Hope to have this done in July actually. It's always fun to use a new line of fabric, and this one should be a fairly quick finish. Christmas lap quilt - I'd like to make a quilt to coordinate with the unconventional tree skirt I made last year. I have a start on the fabric pull, and am thinking about "On a Whim." Maybe yes, maybe no, but would like to do this as part of Christmas in July, though that's putting alot on July's plate! QWERTY variation - A friend picked out fabric and has asked me to make her a QWERTY quilt of her own. This is way over-due, and I'm hoping to finish this up sooner rather than later. There's a part of me that's ready to just start on something fresh and new and out of the blue, and I just may. But meanwhile, also hope to get these projects done in good time . . . Linking up with the Finish-A-Long's Pre-Third Quarter Linky Party. Great plans! I love the fabric your friend picked, and can't wait to see your Christmas quilt! I really love your 4x5 bee quilt - for me it's the colour combo, I think. Love that orange/gray. The marmalade quilt is adorable, is that for the 100 quilts project? Fun list! I still love your orange and gray blocks! I noticed your new FB button - great idea. I still have to start actually using fb but you'll see tomorrow I have yet another social media suggestion! Great list, and each of these will be wonderful when they are done. 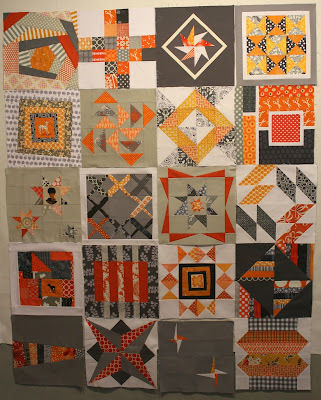 Great list of projects - I love those fabrics for the querty quilt.